The ARIA Las Vegas Resort and Casino is an affordable luxury hotel and the centerpiece of CityCenter (open in December of 2009). The City Center complex, featuring three hotels, residential accommodations, shopping, and entertainment, is located at the south end of the Las Vegas Strip. Room accommodations feature a clean modern design in neutral colors. There are 4,004 guestrooms, including 568 suites. Guests enjoy corner-window views and expansive floor-to-ceiling windows on every guest floor. 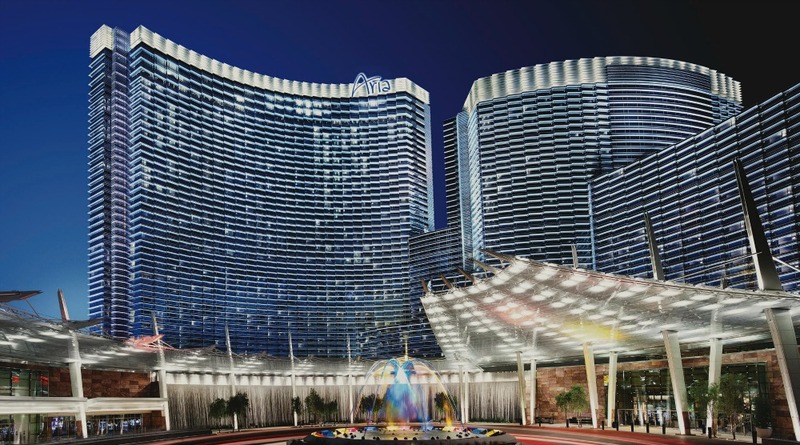 ARIA Las Vegas boasts the most technologically advanced guestrooms in the country. Every guestroom features a level of personalized automation currently found only in high-end custom homes. 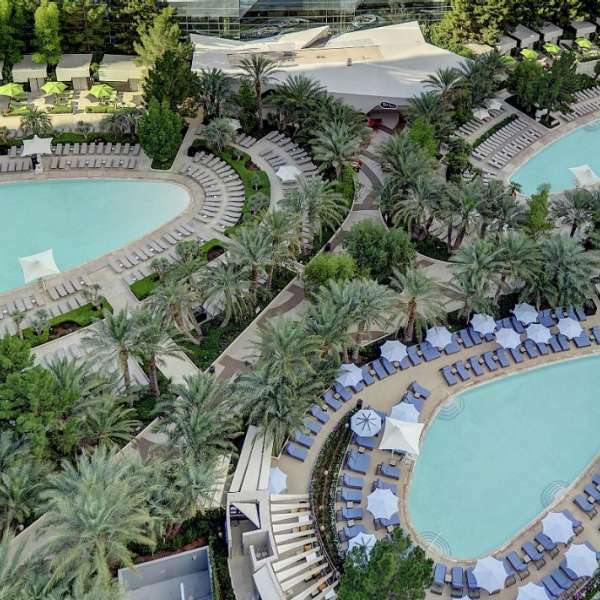 The first class accommodations, shopping, entertainment, and amenities are on par with Las Vegas luxury hotels such as Encore and Bellagio. Aria promises there are plenty of ways to liven things up or unwind in style - from pool parties and shopping to spa treatments and golf. ARIA’s hotel accommodations range from modern deluxe rooms to the inviting Tower Suites and the stunning Sky Suites, including lavish, two-story Sky Villas. 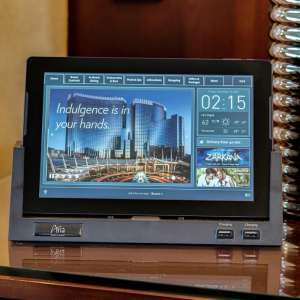 Guestrooms and suites are equipped with dedicated tablets with amenities such as digital in-room dining orders, one-touch spa service requests and an endless stream of news in multiple languages. 42-inch LCD HDTV with ‘smart panel’ allowing guests to connect laptops, game consoles, cameras, MP3 players, etc. Tower Suites guests receive pre-arrival contact, access to the Tower Suites Lounge, complimentary luxury round trip airport transfer (for guests who book a Corner Suite Strip), and more. With a private seating area in each suite and a button to wish you "Goodnight," staying here offers a luxurious escape. The ARIA Sky Suites are described as a hotel-within-a-hotel. Your stay begins with personalized assistance to enhance your experience. Arrive by a limousine or luxury SUV to a VIP entrance that few ever see. Enjoy refreshments in the secluded lounge and take a private elevator to first class accommodations. Indulge in peace and tranquility at the two-level Spa and Salon at ARIA Las Vegas. Visit the Shio Salt Room or the Fire Lounge for relaxing prior to or following treatments. 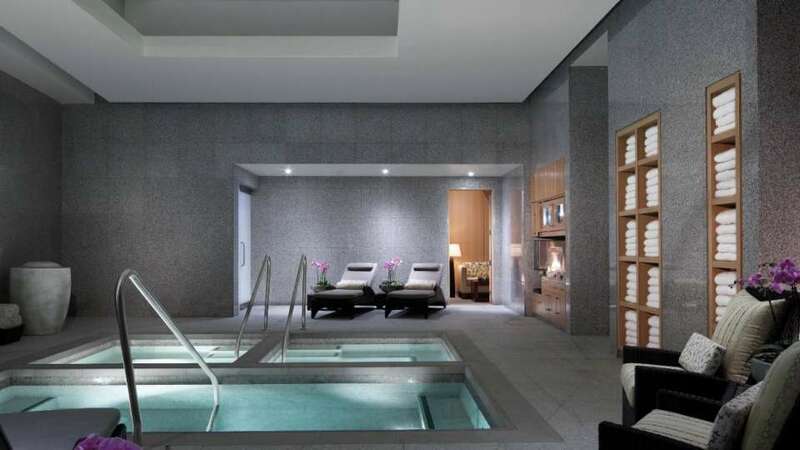 The spa features 62 individual spa treatment rooms, including 34 massage rooms, 11 skin care rooms, four Ashiatsu rooms, three couple’s massage rooms, two vichy rooms, one Thai massage room, one hydrotherapy room, one spray tanning room and two tanning-bed rooms. Treat yourself to a private Spa Suite for a customized experience. Between treatments, you’ll unwind in your own lounge area, complete with a hot tub. Note: All Spa Suite services are reserved for parties of up to four people in 1-hour blocks of time with a 3-hour minimum reservation required. It is recommended that you make your reservations advance. A receptionist will coordinate a spa experience specifically for your needs. Guests must hold a reservation with an authorized credit card and show identification upon arrival. Enjoy a less intense workout in the designated stretching area (with a beautiful view overlooking the pool) with stability balls, medicine balls, a bar tree and free weights. There are three primary pools including Sky Pool (an upscale exclusive pool specially designed for Sky Suites guests) and one adults-only pool, LIQUID. Private cabanas are available for reservation. Discover the season's new lines and explore a boutique for accessories from fashion-forward designers located within ARIA. The ARIA Concierge staff will help you arrange a surprise for someone special, get tickets to a special event, or book a unique tour or experience. 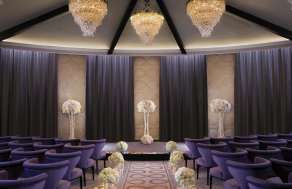 The Wedding Chapel at ARIA Las Vegas accommodates up to 60 guests. The 2,750 square feet of space is located on the first floor of the Convention Center, and features one chapel, a dedicated ladies’ dressing lounge, and a groom’s private game lounge complete with a pool table and wet bar. Traditional wedding packages are available, as well as a Jewish celebration and vow renewals. Packages include photography, floral, limousine transportation to and from the Clark County Marriage Bureau and an officiant to perform the ceremony. Couples can broadcast ceremonies for guests who cannot attend in person. ARIA Las Vegas offers a wide range of dining options featuring some of the world’s best and brightest chefs and finest restaurateurs. Chef Shawn McClain curates a fresh, ever-changing menu of contemporary American cuisine with global influences. Menu features artisanal meats, sustainable seafood and farm-to-table produce. 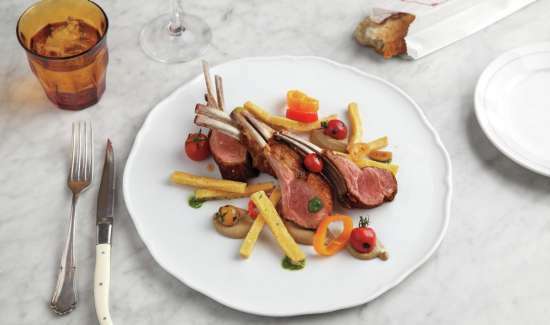 The menu features iconic French comfort food and a variety of both New World and Old World Wines. Brunch is available on the weekends, featuring sweet and savory dishes which you can complement with endless rosé. The Buffet at ARIA features eight live-action stations, each representing a different culinary region. 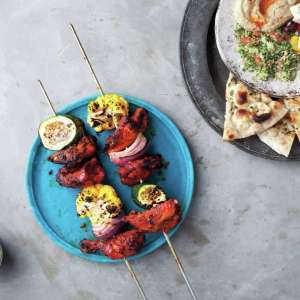 Don’t miss the always-changing selection of fresh seafood and naan baked in an authentic Tandoor Oven. 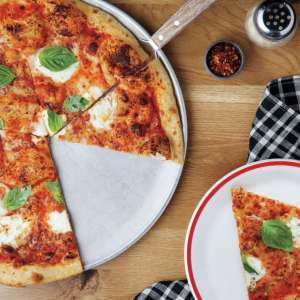 The New York-inspired Italian cuisine showcasing elevated classics such as Lobster Fra Diavolo, Chicken Scarpariello, Veal Parmesan and Octopus Pizzaiolo. Herringbone pairs pristine seafood and responsibly sourced meat with Farmers Market produce, creating an accessible menu infused with Brian Malarkey’s well-known sense of whimsy. Savor the simple flavors of exceptionally fresh fish at barMASA. Every day, Chef Masa Takayama receives a new shipment straight from Japanese coastal waters. Michelin Award-winning Chef Masa Takayama introduces the first teppan grill to his culinary repertoire. Located inside barMASA, his famed sushi restaurant, this exclusive venue features four VIP and two communal grill tables. Fresh ingredients are baked to perfection at 550 degrees in a wood-fired oven. 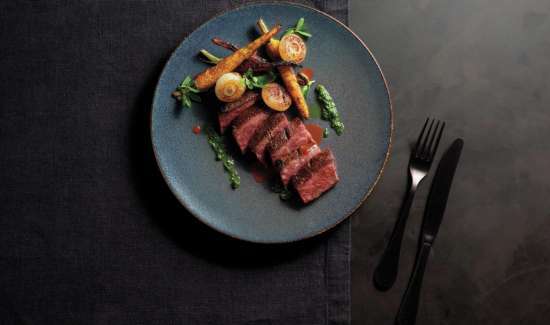 Offering three different types of beef from around the world, dozens of cuts and a selection of seafood and unique sides, Jean Georges Steakhouse has something for everyone. Enjoy over a dozen signature burgers, hand-cut fries with outstanding sauces and toppings, bold salads, spoon-bending milkshakes and refreshing drinks; all created from original Bobby Flay recipes. Chef Julian Serrano creates delectable interpretations of his native Spanish fare. Enjoy Serrano ham alongside a creamy cheese platter, sample savory white anchovy fillets and black pig pinxto topped with perfectly caramelized onions. Whether you prefer traditional Chinese cuisine or a more Americanized twist, you’ll find something special among Blossom’s 100-dish lineup to delight your taste buds. Chef Chi Kwun Choi has earned the Epicurean Award for Best Chinese Restaurant in Las Vegas. 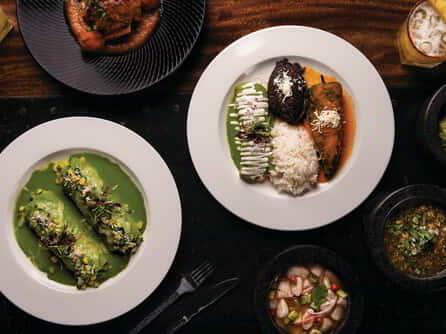 Enjoy hand-shaken margaritas, Ceviche, enchilada and steak. You'll find the makings for a memorable Mexican meal at Javier's with unique architectural elements like a detailed chainsaw wood carving with an Aztec motif. Lemongrass serves a mix of authentic fare and more modern interpretations. Stick with a familiar spicy pad Thai or be adventurous with wok-tossed live Maine lobster infused with hints of ginger and scallion. Burger Lounge utilizes only ingredients produced in a sustainable environment and features a health-conscious menu from their grass-fed beef to vegetarian dishes. Enjoy your favorite classic American dishes at the largest 24-hour café in Las Vegas. Garden areas, natural elements, terraced seating, and stunning views give the café a light and airy feel. Pastry World Champion Jean-Philippe Maury’s decadent creations include fresh-made crepes, custom chocolates and fresh-made sandwiches. The ARIA Fine Art Collection features works by Maya Lin, Jenny Holzer, Nancy Rubins, Claes Oldenburg and Coosje van Bruggen, Frank Stella, Henry Moore, James Turrell, Richard Long, Isa Genzken, François-Xavier and Claude Lalanne, among others. 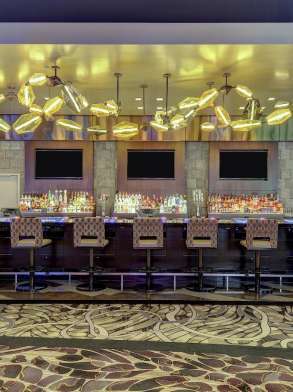 Located in the heart of the casino floor, Gem Bar is the perfect place to enjoy your favorite cocktail within an energetic setting. High Limit Lounge invites players to disappear from the rest of the world over a riveting high stakes game or a cocktail tryst. 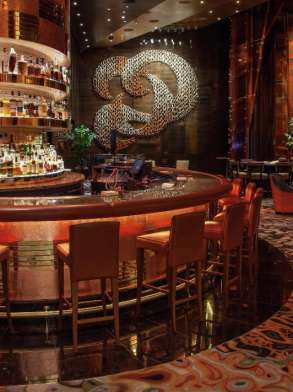 The artistic cocktails in this lounge feature unique libations with a contemporary approach to the classics and cutting-edge masterpieces. The prime location of Lobby Bar makes it the perfect place to kick-off an evening at ARIA before venturing to dinner or on to one of our other many bars and lounges. 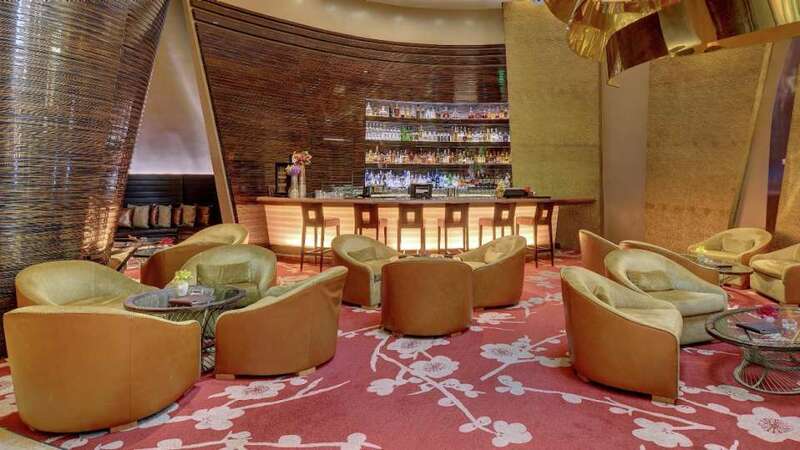 Enjoy masterfully crafted cocktails and live entertainment in a welcoming and refined atmosphere. 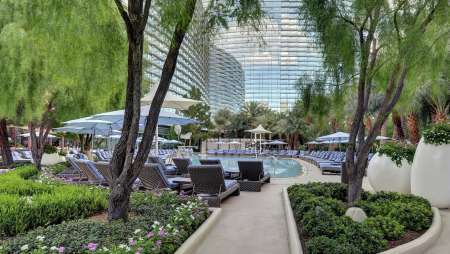 A perfect place to relax in the midst of the best nightlife in Las Vegas. 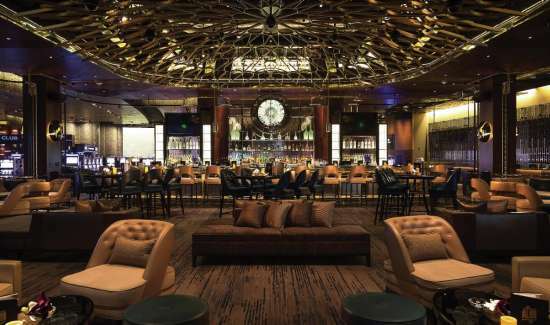 The posh ambience of the lounge complements the discerning atmosphere of ARIA and gives guests a welcome sanctuary from the exciting Las Vegas nightlife. 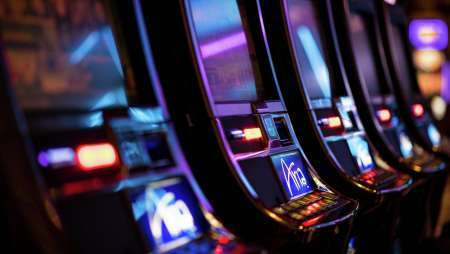 Slot machines feature exciting bonuses, fun interactivity and big payouts. The ARIA promises whether you put down a penny, a dollar or $5,000, you’ll enjoy a casino floor that combines modern sophistication with exceptional guest service. 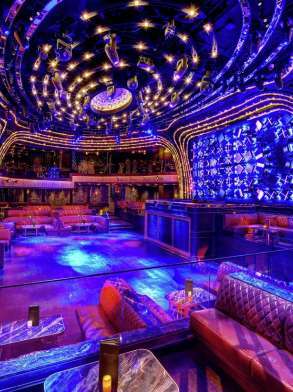 The High Limit Lounge at Aria Las Vegas is located on the Casino Level next to the Main Cashier. Join a riveting high-stakes game or sip on a handcrafted cocktail. The ARIA Race & Sports Book features a wall of 90 HD screens, plush couches and chairs to lounge on while you enjoy full drink and food service. There is a VIP section for a more exclusive experience. 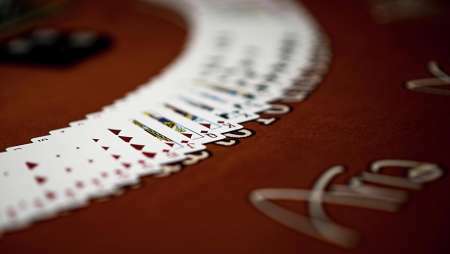 Casino features 145 table games, 1,940 slot machines and a Race & Sports Book.